Admire the breathtaking landscape of green rolling hills from atop Pen y Fan, the highest peak in Southern Britain; enjoy a leisurely coffee and slice of cake in quaint Hay on Wye; walk behind a waterfall and swim in fairy pools in Waterfall Country; or spend the night in a tiny bothy beside the secluded Grwyne Fawr reservoir. Situated between south and mid-Wales and close to the border of England, Brecon Beacons National Park contains four main hill ranges interspersed by river valleys; the Black Mountain in the west, Fforest Fawr and Brecon Beacons in the central area, and the Black Mountains in the east (note the Black Mountain and Black Mountains are separate ranges - just confusingly named!). The Brecon Beacons are both wild yet picturesque, with narrow country roads and farmhouses nestled at the foot of the hills; thick forests, tumbling falls and wild Welsh mountain ponies gracing the roadsides. Activities in the park include sailing, wind-surfing, canoeing and fishing in the river valleys and reservoirs, along with some excellent walking and mountain biking in the higher peaks. The Gwyrne Fawr bothy might just be the definition of the word remote. To get there, you must drive down a dead-end road for 7 miles to reach a carpark. From here, it is a 2.5 miles hike through a forest and beside the reservoir before this little mountain hut comes into sight. A tiny stone building nestled into the hillside alongside a stream that feeds into the reservoir; the bothy contains not much more than a stove, table, a few chairs and a sleeping shelf up a ladder - but what more do you need? Your only neighbours will be the wild ponies that roam around the reservoir or maybe the infamous bothy mouse you may hear scuttling about. Phone service disappears somewhere way back on the road, so bring a book, playing cards and a flask of whiskey and settle in for the night. Getting there: It is around a 10 mile drive from Abergavenny through small farm lanes. Park at the Black Mountain (Mynydd Du) Car Park then start the walk by following the path at the northern end of the carpark. It is a straight path all the way to the southern end of the reservoir, continue to the northern end where you will see the bothy. *Respect the bothy code when visiting and ensure you tell at least one person where you will be spending the night. This 11-mile circuit from the Storey Arms takes in a number of breathtaking sites and summits in the central Brecon Beacons, ascending Corn Du and Pen y Fan before circling the Upper Neuadd Reservoir and returning via the long ridge. Views from Pen y Fan are stunning on a clear day, looking out onto the green rolling hills that make the Beacons so distinguishable. This is a long walk so give yourself the day to admire the ridges, peaks and landscapes that the circuit has to offer. Getting there: Park at one of the car parks near the Storey Arms activity centre and start the walk from here. Hike: The hike is 11 miles and may take between 4 and 6 hours. Use OS map Explorer OL12 or see instructions here. Gear: We’d recommend wearing walking boots and bringing a wind/waterproof jacket for the hike. Food & Drink: Bring plenty of food and water for the hike. There are a number of refreshment trucks in the car parks at the weekends, serving hot and cold drinks and snacks. A Celtic rainforest in southern Wales. Nestled within the Forest Fawr massif there is a lush environment of tall trees and tumbling water, one of the most popular areas in the Brecon Beacons. We’d recommend a walk that links together three of these waterfalls; park at the Ystradfellte Car Park and stroll past the Lower Fall of the White Meadow, the gushing Fall of the Fuller and end at the famous Sgwd Yr Eira Waterfall, which you can walk right behind. This would be the perfect place for a swim and picnic in the summertime. Getting there: Park at the Ystradfellte Car Park to reach the falls or the Four Waterfalls Car Park for a longer circuit. Gear: Trainers would be fine for this hike, though some areas may be slippery after rainfall. Bring swimming gear if it’s warm enough. If you’re looking for a quintessentially Welsh village to enjoy a leisurely lunch, coffee or to wander around for a couple of hours, Hay on Wye is the ideal place. Renowned for being the “Town of Books”, Hay is filled with an abundance of bookshops, homeware stores and antique shops. Visit on a Thursday for Market Day or during the annual Hay Festival to see the village bustling with literature and life. Getting there: Hay is situated just off the A438 heading west towards the park from Hereford. The picturesque village of Crickhowell, nestled in the southestern corner of the Brecon Beacons, is a perfect place to spend a day; with a wander around the shops, lunch in one of the cosy cafes, and a ramble up Table Mountain from the village centre. The Georgian village lies in the Usk Valley and contains some lovely shops, including a zero waste store, smokery, and antique shop. There are also a number of cafes to choose from, the one we stopped by being Cafe at Bookish inside a lovely bookstore. 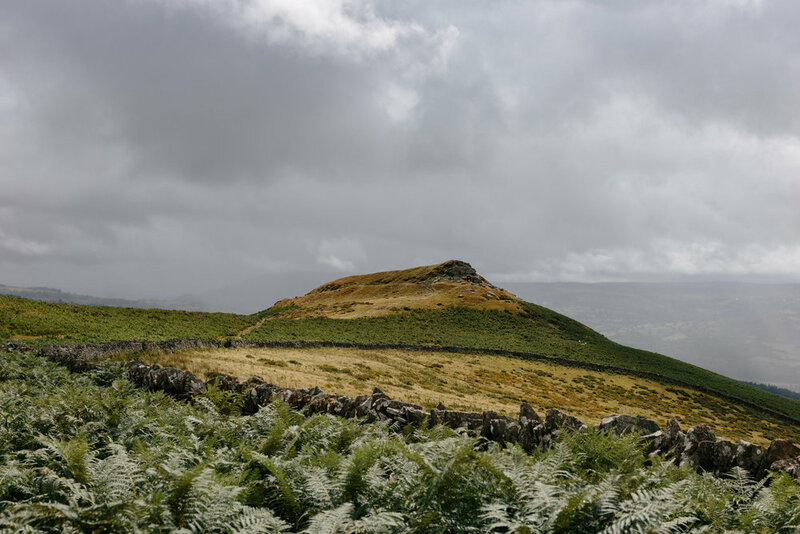 Afterwards, head up to Crug Hywel, an Iron Age hillfort better known as Table Mountain. The hike takes you from the village through woodland, before plateauing at the distinct Table Mountain where sheep and wild ponies roam. Head down through farm fields back to Crickhowell and straight to a country pub for the evening. Getting there: Crickhowell is situated on the A40 between Abergavenny and Brecon. Walk: The walk from the village isn’t long, though finding the start can be confusing! Taking around 2-3 hours, you can complete the hike in the middle of the day with time to wander either side. Route-finding is relatively easy, especially when the site of the hill comes into view. Full walking guide coming soon. 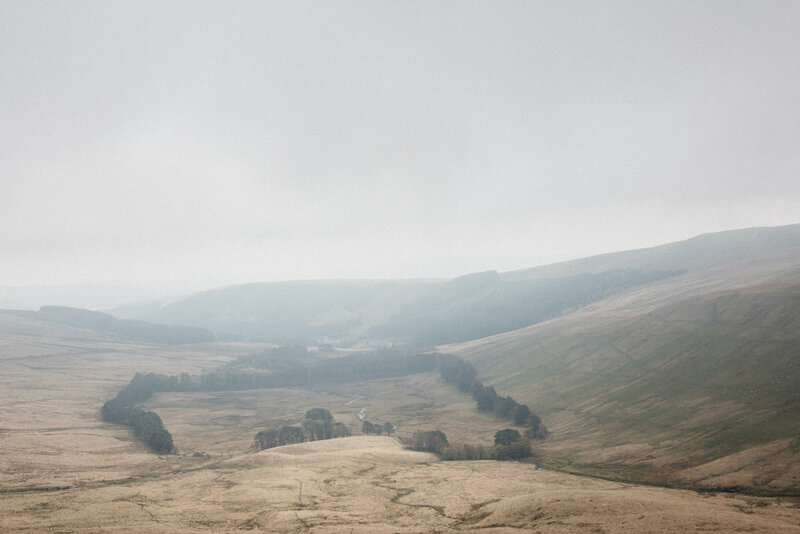 We're still exploring the Brecon Beacons and discovering great places to share with you.